In The mobile component Global positioning systems of many mobile phones was utilized to determine the current location of the users and then was compared to co-ordinates of free open WiFi hotspots provided though the dataset of “Adelaide Free Access Point Locations” for a result distance from and direction of travel to the nearest WiFi hotspot. This data is shown as a compass along with the name of the WiFi hotspot and if the connection is inside or outside. If the user was to request more information a button located next to the compass is used to launch a map with walking directions from where the user is to the WiFi spot along with the potential other WiFi hotspots. In addition to this if more work and statistics could be harvested, information such as users connected to each Wifi Hotspot could be provided, allowing the user to find less crowded networks for faster connection speeds. The mobile component also updates itself in the background with other applications if GPS data is enabled. If the user comes into walking distance of any free WiFi Hotspot the application will notify the user, so that they can never miss a chance for free WiFi. The mobile aspect also comes bundled with a wearable application component that runs on android wear, this component shows glance able information that that is derived from the mobile aspect of the application. This includes compass data and positioning data. A website component can be accessed to display all of the mapping data, including all the free wifi access points available to the user and statistical data that shows the current usage of each hotspot. This allows for any device including iOS devices to access the data, therefor increasing the accessibility of the information for any end user. This kind of technology can assist in attracting tourists to shopping malls, tourist attractions or other businesses that hope to thrive, helping the local economy. Hopefully within the next few years more and more WiFi hotspot data will be available from all cities across Australia, enabling the community to fully utilize the application. 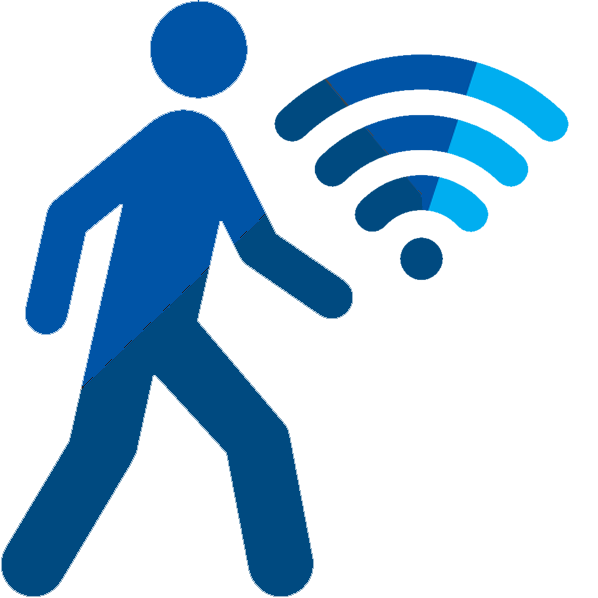 In summary the Walk by WiFi application will enable the community to utilize the resources that are available for free, encouraging users to explore the possibilities of internet technology in the future.